23 books in total are in the running. eir sport today announced details of the longlist of entries for what is the fourth year of the eir sport Book of the Year. 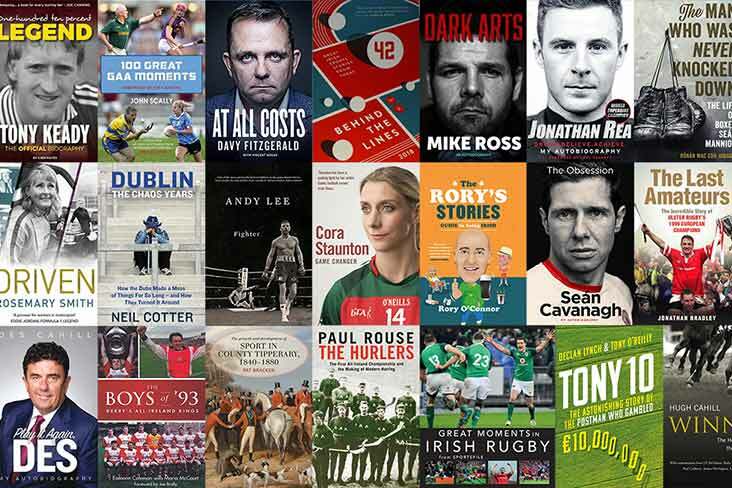 23 books in total are in the running to follow in the footsteps of the 2017 winner, ‘The Choice’ by Dublin footballer Philly McMahon as well as 2016 winner, ‘What Do You Think of That’ from Kerry footballer, Kieran Donaghy and the 2015 winner, ‘Dub Sub Confidential’ from former Dublin footballer John Leonard. Sean Cavanagh's 'The Obsession', 'The Boys of ’93: Derry’s All-Ireland Kings' (Eamonn Coleman with Maria McCourt) and Cora Staunton's 'Game Changer' are among the nine GAA books longlisted this year with the final shortlist to be confirmed at the end of the month. eir sport also confirmed the judging panel for this years’ award which is comprised of renowned sports editors and journalists from the Irish sporting media. The judging panel will be independently chaired by Mark Duncan. The winning author of the eir sport Book of the Year will receive a €1,500 cash prize, a specially commissioned trophy and €10,000 worth of TV advertising on eir sport. The final shortlist will be announced at the end of November with an awards event taking place in Dublin on Monday, 10th December where this year’s winner will be revealed.